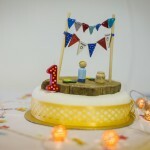 I was recently commissioned to capture pictures from George's first birthday. The venue was The Horse and Bamboo Theatre in Waterfoot, Rossendale. I've never been before but what a superb, quirky little venue. For the birthday the older children got to sit in the theatre space and watch a movie whilst George and his younger friends had a puppet performance in one of the spaces upstairs. 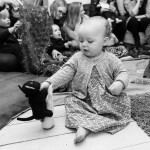 It's always really lovely to photograph at first birthdays as the kids are so full of excitement and wonder! I specialise in a reportage / photojournalistic style with my imagery. I am a photographer based in Shaw, Oldham and have worked throughout Lancashire, Greater Manchester and Yorkshire. If you want a relaxed, natural style of wedding or family portrait photography get in touch for a bespoke quote.